Travers impresses over 5k in county Laois, while Linda Byrne, Mark McKinstry and Kerry O’Flaherty are also among the St. Patrick’s Day winners. John Travers of Donore Harriers celebrated his birthday in style with a fine win at the Streets of Portlaoise 5k on Sunday (March 17). Coming home in a new course record of 14:25, Travers broke away with 600m to go and finished with nine seconds to spare on last year’s winner Hiko Tonosa of Dundrum South Dublin AC, who finished in 14:34. Third in 14:44 was Eoin Everard of Kilkenny City Harriers. First woman in 17:09 was Linda Byrne of DSD AC. Grace Lynch of Iveragh AC was second in 17:18 and Leevale’s Sinead O’Connor third in 17:29. First masters were Brian Maher of Kilkenny City Harriers in a time of 15:02 and Maria McCambridge of DSD AC in 18:48. First juniors were Cian Kelly of St Abban’s in 16:01 and Sorcha Moloney in 18:35. The race, with close to a thousand finishers, was the first round of this year’s KIA Race Series, with nine rounds in all concluding with The Lakes 10km in Blessington on September 7. Winners of the inaugural series last year were Hiko Tonosa and Kerry O’Flaherty. 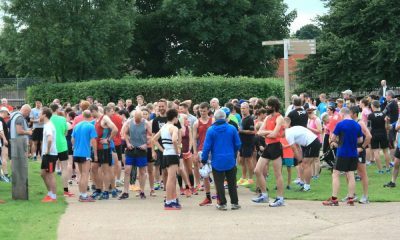 The best five results count and there are also €500 course record bonuses on offer in each race. This year, winning masters over 40 will get an all expenses paid trip to the European Masters Track and Field Championships in Venice next September. 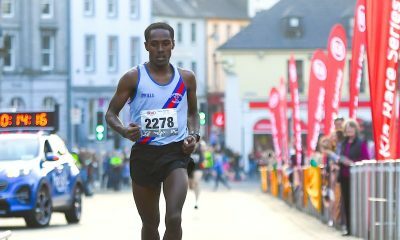 Next round in the series is the Street of Kilkenny 5km on Thursday, April 18. Mark McKinstry of North Belfast Harriers was a clear winner of Jimmy’s 10k in Downpatrick on Sunday. The NI & Ulster cross country champion crossed the finish line for the win in 31:11. 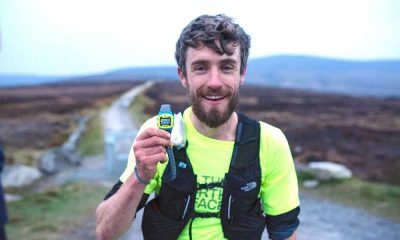 Paddy Hamilton of Slieve Gullion Runners was second in 31:56, while Aaron McGrady of East Down AC third in 32:30. First woman was Kerry O’Flaherty of Newcastle AC, who was 10th overall in 34:36. Running her first race in many months was marathoner Laura Graham of Mourne Runners who finished second woman in 35:33. Third in 36:59 was Catherine O’Connor of host club East Down AC. James Edgar of City of Lisburn led home close to 1,500 finishers at the SPAR Craic 10k in Belfast on Sunday. Edgar finished in 32:40, with Philip Goss of North Belfast Harriers second in 32:45 and Stephen Wylie of Victoria Park and Connswater AC third in 32:57. First woman was Gladys Ganiel of North Belfast Harriers in 36:00. Sarah Lavery of Beechmount Harriers was second in 36:34, while her Beechmount clubmate Catherine Diver finished third in 39:25. Over in England, Paul Pollock of Annadale Striders finished fourth at the Reading Half Marathon on Sunday. Pollock clocked a time of 64:27 despite stopping to get sick at 18km. 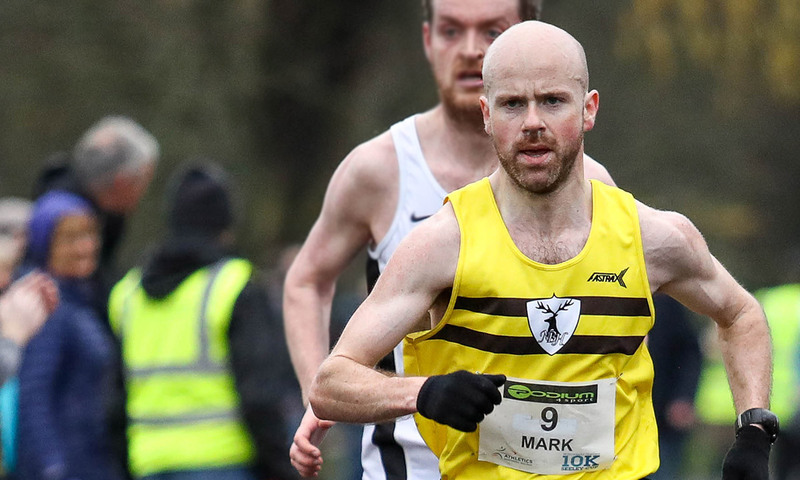 It was a season’s best for the Irish Olympian after he won the Surrey Half Marathon in Woking last week in an untroubled 66:24. Winner was Scott Overall in 63:50. 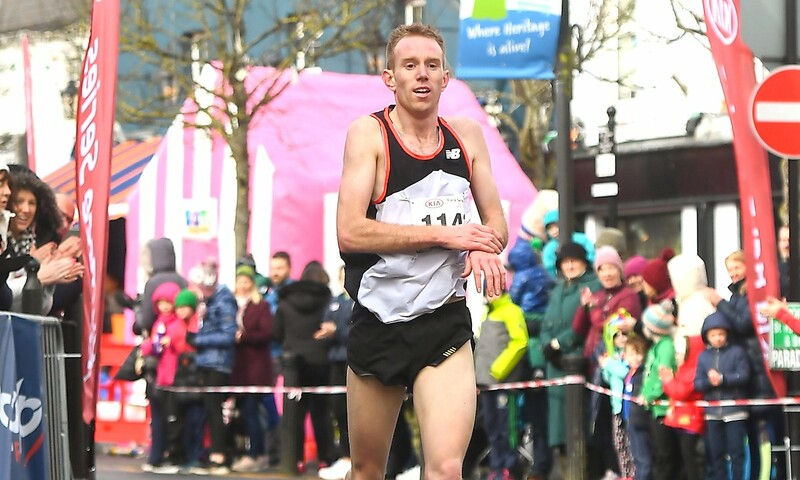 Back in Ireland, a closely-fought race at the Mullingar Half Marathon on Sunday saw Tomás Fitzpatrick of Tallaght AC coming home ahead of Sean Hehir from Rathfarnham WSAF. Fitzpatrick finished in 68:01, with Hehir five seconds adrift. Third in 69:18 was JP Carty from Sligo RC. First woman was Adrianna Mulligan from Longford AC in 82:44, with Elizabeth Carr of Mullingar Harriers second in 82:59 and Aisling O’Connor of Edenderry AC third in 83:08. Rossa McCarrick Hurley won the Tubber 10k in Tubbercurry on Sunday representing a team called McCarrick and Grandsons, which had three finishers in the top 15. In an exciting finish to the race, Hurley outsprinted Niall Cornyn of Dunboyne AC for victory; the pair were given times of 33:13 and 33:14. Karol Cronin of Sportsworld AC was third in 33:40. First woman was Nora Pieterse of Mayo AC in 37:21. Sarah Doohan of Corran AC was second in 37:53 and Aoife Kilgallon of Sligo third in 38:56. Shane Moran and Caitlin Hughes, both Swinford AC, were the winners of the 5km race. 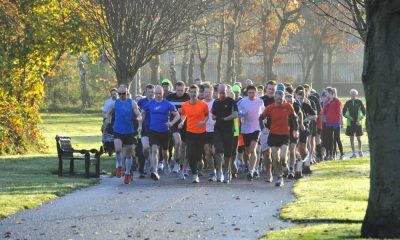 Meanwhile, at parkrun on Saturday (March 16), Rathfarnham WSAF’s Louis McCarthy ran 16:35 at the Marlay parkrun to record the fastest men’s time across Ireland. Ballymena Runners’ Kerry Bamber was the quickest woman after running 18:29 at the Belfast Victoria event.